Moving to Nottingham to take up the post of Deputy Director at Lakeside Arts Centre, I left our large Victorian terrace in Heaton Moor, Stockport and was surprised to find an architect designed house in Beeston on the market. Researching its history I found that it was one of two houses designed by Architects Design Group, a Nottingham practice that explored and updated local housing forms in the 1960s, in large and small scale housing developments. The firm later moved into designing North Sea gas platforms amongst other larger projects. I met with Bob Cullen the architect in charge who explained how Maurice Barley, an Archaeology professor at the University, had commissioned ADG in 1969. The road has an interesting history in being part of what was known as the Cottage Grove Estate, being an early model of a garden suburb, and containing a number of cottages amongst fruit trees. The house itself, whilst having a light and airy feel, needed bringing up to date in terms of services, style and sustainability. I selected Marsh Grochowski , in part from the reputation of Julian Marsh in the area of sustainable homes, and developed a plan with him and his colleagues Mike Askey and Ben Smart to extend and refurbish the house. In the end I decided that I didn’t need to extend but did want to go ahead with the refurbishment. 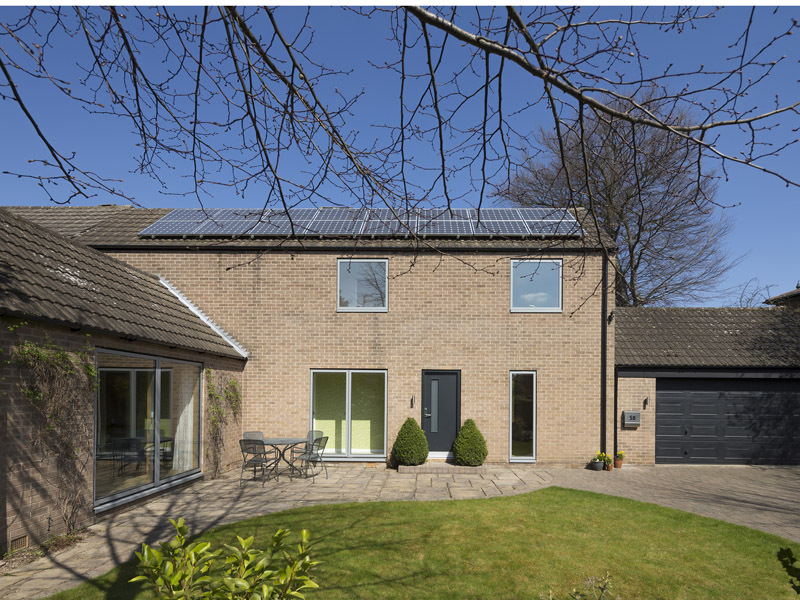 The result was the creation of a low maintenance modern home, marked by a 16 panel solar PV array across the front roof. These measures brought an estimated reduction in CO2 of 79.6%, and the Energy Efficiency rating of the house rose from an F (33) to a B (82) placing it into a category shared by only 5% of houses in the UK.